Drugs and alcohol change the chemical makeup of the brain, and regular use of mind-altering substances can cause dependence to form. Brain circuitry and chemistry will attempt to regulate as drugs and/or alcohol process out of the body after dependence has formed, and this causes withdrawal symptoms. 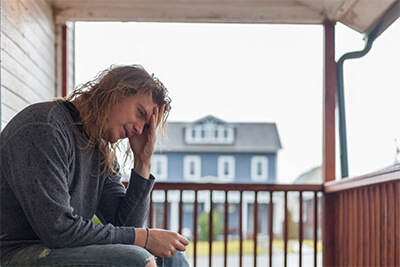 The duration, intensity, and type of withdrawal symptoms will differ based on which drug was used, the method of abuse, the level of dependency, and if there are any co-occurring disorders present. Some substances, such as alcohol, benzodiazepines, and opioids, should never be stopped “cold turkey,” or suddenly, as withdrawal symptoms can be significant and even life-threatening. Therefore, withdrawal should be managed with the aid of a highly trained professional, Psychology Today publishes. Side effects of drug withdrawal may include insomnia, depression, irritability, nausea, vomiting, diarrhea, abdominal cramps, nightmares, muscle aches, back and joint pain, tremors, restlessness, cravings, depression, anxiety, agitation, seizures, irregular heart rate, high or low blood pressure, respiratory distress, sweating, fever, cold and clammy skin, dilated pupils, tingling in the extremities, mental confusion, short-term memory issues, trouble concentrating, paranoia, delirium, hallucinations, excitability, watery eyes, bouts of crying, runny nose, shakiness, suicidal thoughts, pain sensitivity, disorientation, muscle weakness, and appetite fluctuations. Attend a medical detox program. This is considered the optimal method for managing withdrawal. Withdrawal symptoms can be both physical and emotional in nature and sometimes even dangerous or fatal without proper treatment. For example, the New England Journal of Medicine (NEJM) estimates that 3-5 percent of people suffering from alcohol withdrawal will experience delirium tremens (DTs), a potentially life-threatening form of alcohol withdrawal. Medical detox is a program that lasts 5-10 days on average and provides around-the-clock supervision and medical management for withdrawal. Cravings and symptoms can be managed with medications, and emotional support is provided 24/7 to keep clients safe. Exercise regularly. Healthy amounts of exercise can help the brain to release endorphins and thus positively restore chemical balance. Exercise can also reduce tension and stress, and help a person to sleep better while enhancing self-esteem. Studies published by the journal Frontiers in Psychology show that exercise can help to minimize relapse and decrease compulsive drug use and cravings, therefore aiding in recovery. Going for a walk or run and engaging in aerobic activity can improve physical health, which can, in turn, enhance mental health and stability during withdrawal. Eat balanced and nutritious meals. Diet can play a big role in healing both the mind and body. Eating meals that are rich in proteins and essential vitamins and nutrients is essential for restoring healthy brain and body functioning. Drugs and alcohol can deplete the body of what it needs to run efficiently, and it is vital to replace these nutrients during withdrawal to expedite healing. Staying away from caffeine, refined sugars, processed foods, oils, and saturated fats can help also. It may be helpful to take supplements to replenish vitamins depleted during active addiction. Studies published in Today’s Dietician indicate that around half of the people researched who were battling addiction were deficient in either iron or vitamins A, C, D, or E. Not only can healthy eating help to heal the brain and body and counteract malnutrition, it can also serve to reduce cravings and enhance self-image and self-care. Moods are also tied to nutrition, and a body that is well nourished will help the mind to feel less anxious, frustrated, irritable, and depressed. Stay hydrated. Dehydration is common during withdrawal. It is important to drink enough water to allow the body to heal properly. Many times, cravings may be mistaken for thirst or hunger. Keeping the body properly hydrated and nourished can aid in reducing these instances. Stick to a structured sleep schedule. Getting the proper amount of sleep is vital to healing and emotional health. When a person is well rested, they are better able to think clearly and control mood swings and cravings. Going to bed at the same time every night and waking up at the same time in the morning is a good way to establish a healthy sleep schedule. Try not to become overly stimulated before trying to go to sleep (i.e., don’t exercise or watch television right before bed) and engage in restful and relaxation techniques to wind down at night. Sleep is often disrupted during withdrawal, and trying to regulate it via good sleep habits can help. Join a support group. Groups like 12-Step programs and peer support groups (such as Alcoholics Anonymous, or AA) can offer encouragement and tips for those new to sobriety as members have already been there and come through the other side. Support during withdrawal is important for minimizing relapse. Surrounding oneself with others who are committed to sobriety and have similar goals can be highly beneficial during withdrawal and into ongoing recovery. Try holistic methods. Chiropractic care, massage therapy, acupuncture, and other alternative medicine options have shown promise in helping to manage withdrawal symptoms and cravings during detox. Both chiropractic care and massage therapy use touch to manipulate muscles and relieve tension, which can help to alleviate stress and physical pain. Acupuncture involves the placement of needles into certain acupuncture points in the body to reestablish balance, circulation, and blood flow to promote recovery. The journal Natural News reports that ear acupuncture, or auricular acupuncture, is often used and has been found to be beneficial for treating addiction. Holistic methods are often used as adjunctive therapies in tandem with traditional ones. Stretch often, and consider yoga and/or mindfulness meditation. Stretching and yoga poses can stimulate blood flow and circulation, and relieve tension and muscle pain. Mindfulness meditation and yoga use breathing techniques to help people become more aware and in tune with their bodies. By understanding and responding to physical cues, a person can better understand the emotional response involved. Mindfulness meditation provides introspection and self-reflection, and it can help a person to strengthen the connection between the spirit, mind, and body. Mindfulness meditation is a considered alternative medicine, and studies published by Harvard Health Publications show that it can be an effective method for lowering anxiety, physical pain, and depression – all of which can be side effects of withdrawal. Communicate with a family member, loved one, therapist, or counselor regularly. Talking is a form of therapy in and of itself, and it can be helpful to externalize thoughts, emotions, and difficulties in order to avoid bottling them up and making them worse. Reach out to family, friends, and loved ones. Participate in counseling and therapy sessions to alleviate emotional distress and learn healthy coping mechanisms. Behavioral therapies can teach people how to turn negative thoughts into positive ones in order to modify behaviors and alter self-destructive patterns. Participate in relaxation techniques. Learning how to slow down thoughts and regulate breathing can help to reduce anxiety and other negative emotions. Spa treatments may also help to ease stress and enhance relaxation. Detox is typically a first step toward recovery, and by managing it well, individuals can build a strong foundation for recovery. After detox, an individual should enter into an addiction treatment program in order to build upon these healthy habits. The real work of recovery takes place in therapy following withdrawal, but it’s important to be supported during withdrawal to ensure it is completed successfully.